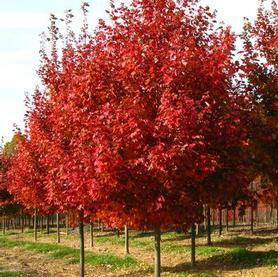 Redpointe® ('Frank Jr') Red Maple is an attractive introduction of this very adaptable native tree, developed by J Frank Schmidt and Son Nursery in Oregon. They chose this selection because of its broad but upswept branching pyramidal habit. 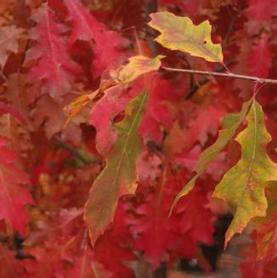 Acer rubrum Redpointe® has a strong central leaded and leathery dark green foliage. 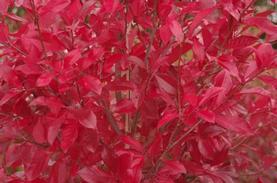 The crowning glory is the vivid red early fall color, followed by a regular tidy silhouette in winter.